The Spanish giants Barcelona president Josep Bartomeu has stated that the club will not be selling attacking midfielder, Philippe Coutinho. 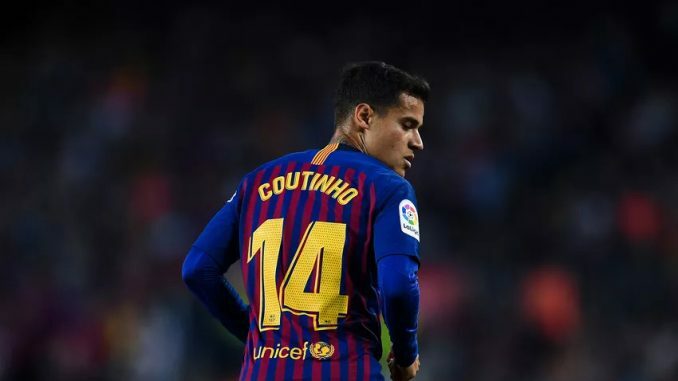 Bartomeu states that Coutinho is a good player who Blaugrana want to keep at the club and that they have no interest in parting ways with him. This will come as a blow to the Blues, who have been reportedly monitoring his current situation as a potential replacement for Belgian star Eden Hazard, with Real Madrid thought to be interested in the Belgian forward. South American star has four goals and two assists in 20 La Liga matches for Barcelona so far this campaign, with a further four goals and three assists in the cup competitions. The Brazilian star joined Barcelona from Chelsea’s fellow Premier League outfit Liverpool in the January transfer market of 2018, but has found himself in and out of the team at Catalonia in his 13 months at the club.